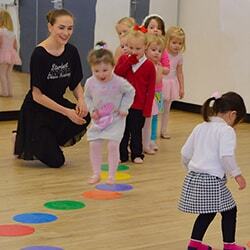 Our Baby Ballerinas class is designed for boys and girls aged 2 to 4 years. 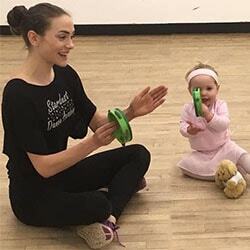 This fun-filled class will introduce children to the beautiful world of Ballet using magical music and exciting props. To keep our classes fresh and exciting for little ones we follow a specially developed syllabus exploring a different theme every 6 weeks. 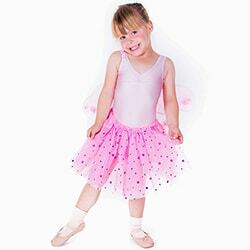 Examples of some of our most popular themes are "Fairy Magic" "Teddy Bears Picnic" and "Butterflies & Bugs" After completing each theme the children receive a special certificate. 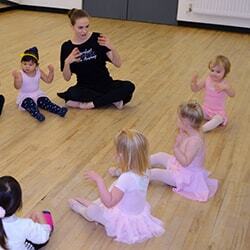 We have found that this class is fantastic for improving children's confidence, co-ordination and musicality in a relaxed and friendly atmosphere. It is also great for preparing children for a school environment as they will learn to listen to a teacher, follow instructions, share and learn to work with others all while making new friends and having lots of fun! Parents/careers are invited to join in with their child's class to ensure they get maximum enjoyment out of the class. 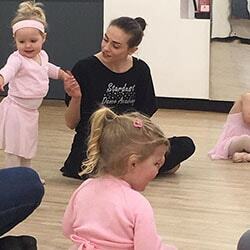 * Once your child is 3+ and is confident and independent enough to attend classes without their parent/carer they might be ready for our next class up, which is our Fairytale Ballet class for ages 3-5!